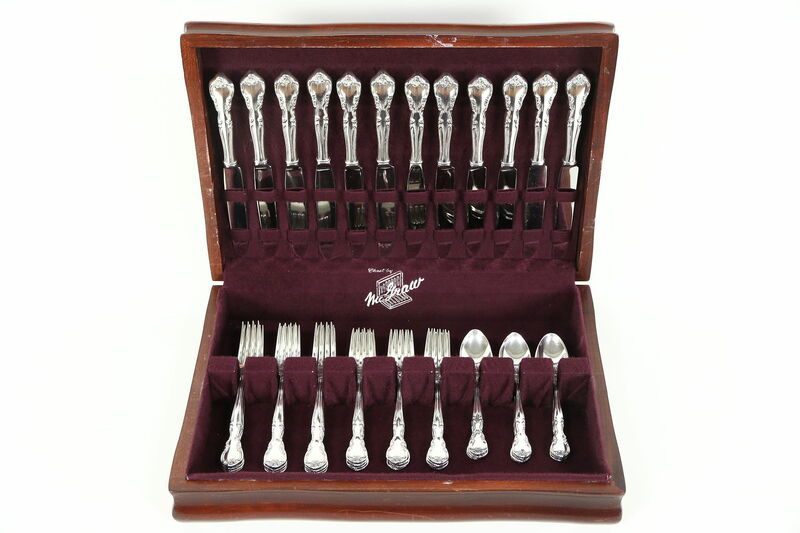 A set of sterling silver is signed "Easterling" in the "American Classic" pattern. Twelve four piece place settings include a 9" knife with stainless steel blade, 9 1/4" dinner fork, 6 1/2" salad fork and 6" teaspoon. There is minor wear and scratches, see photos. The mahogany chest has wear and a few scratches for character. USPS Shipping is $35 in the US, signature required.